Posted on May 16, 2011 October 16, 2016 , in Atlas Polar, Multilift Hooklift. We’re having a difficult time keeping up with the demand for our nice-looking and truly functional Multilift hooklift and truck packages! 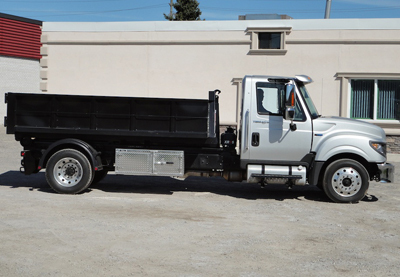 The truck in this package is a 2012, 300 HP International Terrastar. Offering three-person seating and excellent maneuverability, this truck is the ideal partner to the Multilift hooklift. For more information on this great package, visit our Demo/Used Equipment page.